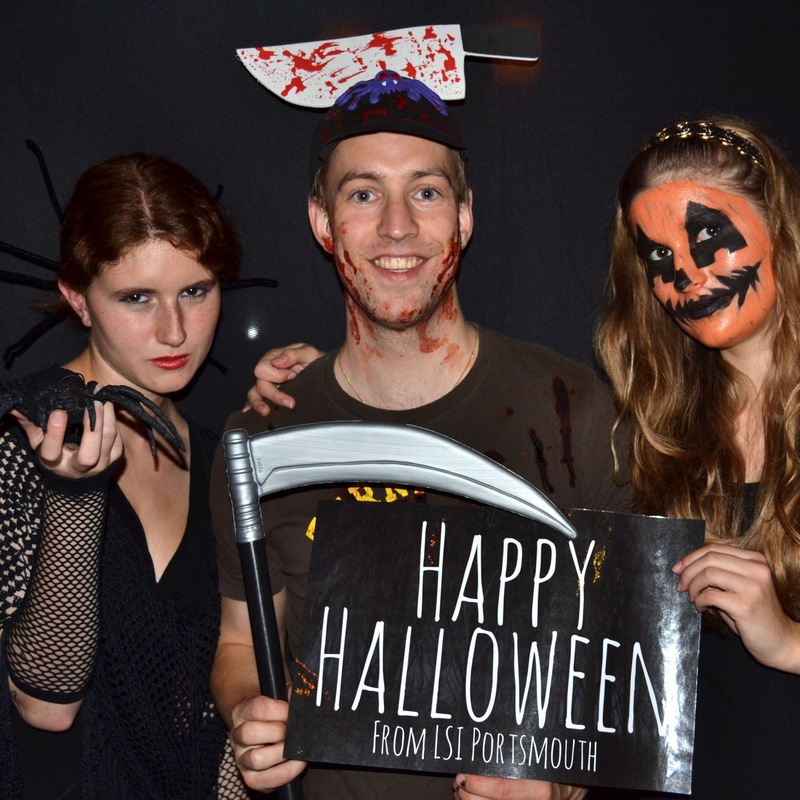 Halloween in Portsmouth - Spooky! 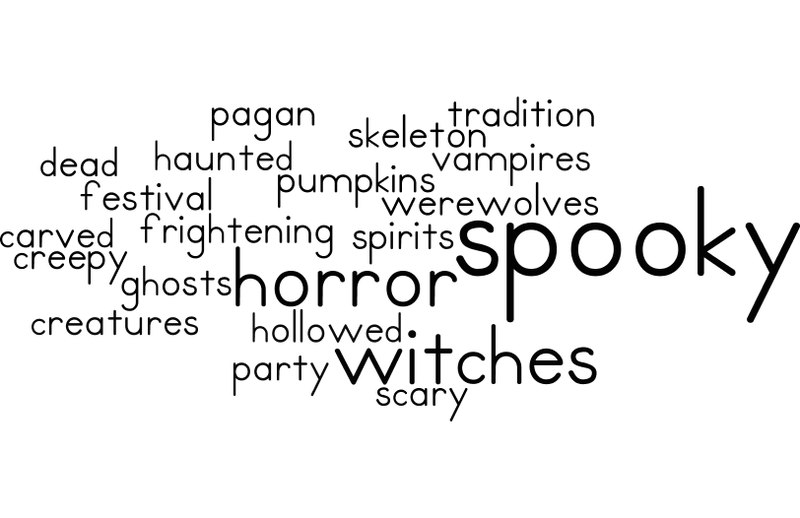 Try our Halloween reading quiz. Using the vocabulary below, try and complete the gaps. 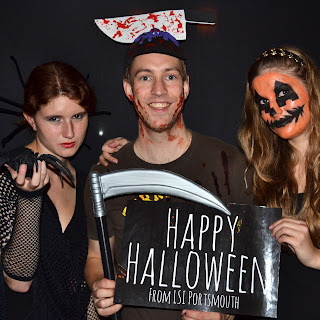 On Saturday 31st October, many people all across the UK will be celebrating Halloween! But what are the origins of this s__________­­­­­­­­­­­ fes__________, and how will we be celebrating it here at LSI Portsmouth? 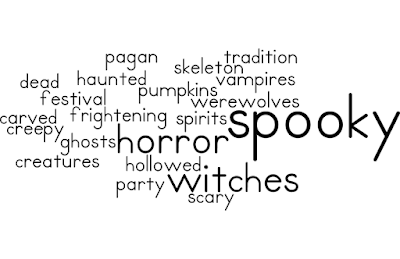 Halloween has its origins in p__________ festivals that were held at the end of October in Britain and other parts of Europe. The Celtic people though that the barrier between our world and the world of g__________ became really thin. This meant that the s__________ of d__________ people would come alive and walk among the living, and weird creatures with dark powers could wander about on Earth. In order to avoid being harmed by the spirits and c__________, people would dress up in f__________ costumes, to try and protect themselves. The Celts would have a big p__________ to try and scare away the ghosts and spirits! Nowadays, people continue the t__________ of wearing s__________ costumes, such as dressing up as v__________, w__________, w__________ and ghosts. People often have parties, and decorate their houses to look cr__________ and ha__________. You may see lots of pumpkins in the shops at the moment. These are h__________ o , and then have s__________ faces c__________ into them. Carving faces into pumpkins is also a tradition that originated long ago. This year, we will be selling tickets to the infamous international party on Guildhall Walk!! The party will be on the 29th October at Popworld. If you need a ticket, go and see Belle in room 305. There will be HUGE cash prizes for the scariest costumes, as well as the most innovative costume. It’s time to get creative! On Friday 30th, we will be hosting a halloween film club, with a choice of terrifying horror films to choose from, as well as free drinks and warm popcorn! There is also loads of halloween parties happening across the city on October 31st, so if you’d like to find out more about what’s going on, pop into Belle’s office for a chat! We have another video in the series of interviews showing the differences that students notice when living here in England. This video is with two of our lovely and very popular Chinese students. Amelia talking to Flora and Alex from China. It is so interesting hearing students point out the strange differences in English culture, when comparing it to their own.